As I suffered though last weekend with tonsillitis (a horrid illness that basically makes it feel like dozens of knives are stabbing at the inside of your throat each time you swallow), I discovered that my 8-year-old son had bought an excavator on eBay. Um, wait. What? Yeah. He bought a real excavator. $50,000. Well, I guess that’s what I get for not logging out of my eBay account! As I spent the next few hours in a sort of “Oh my god!!! How do I get out of this!! !” state, most my friends that I had told this to just laughed at me! Lovely friends, hey? I contacted the seller straight away, hoping he or she would understand the situation and cancel the sale. After all, not only do I not have $50,000, we also have no way to get an excavator home, nowhere to store the excavator, and no idea how to actually use an excavator. Oh, and also, we have no use for an excavator! It’s been four days now and can you believe it, I have not heard back from the seller yet. Sigh. My kids are always getting me into trouble in some way or another. I was feeling better about the situation by the end of the weekend, and I thought my illness was receding, so I decided to make my own contribution to National Chocolate Chip Day (celebrated annually on May 15!). My favorite chewy chocolate chip cookie recipe was involved in this contribution, as well as a jar of Trader Joe’s Speculoos Cookie & Cocoa Swirl cookie butter (which one of my lovely friends picked up for me at 50 States in Perth). I think you may know where I’m headed here. Although I’m not normally a fan of stuffed and filled cookies (and don’t even get me started on Oreos inside of chocolate chip cookies; that is just ridiculous), when I tasted a (or five) spoonful(s) of that cookie butter, I almost immediately imagined what it would taste like inside of a chocolate chip cookie. And so, I made it happen. It’s a very easy process to get that gooey cookie butter inside of the cookie, so don’t fret. You just have to scoop out teaspoonfuls of the cookie butter, plop them onto a baking paper-lined tray or plate, and freeze them until they’re completely frozen through. 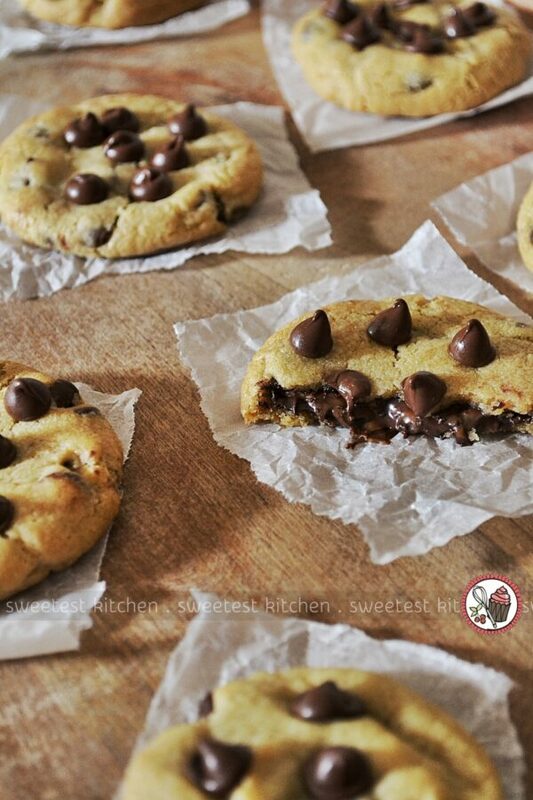 Then make your cookie dough – you can use the one I made, or use your own favorite chocolate chip cookie recipe. Here, you can let the flavors of your cookie dough develop in the refrigerator for the next 24-36 hours, or you can just simply get right to work. Scoop up a well-rounded tablespoonful of cookie dough (I used 35g of dough per cookie), shape it into a roughly-shaped ball and use your thumb to make an indentation in the middle. Place it on your baking tray. Take just one frozen cookie butter mound out of the freezer (don’t take them all out or they’ll start to melt back down pretty quickly), grab your tablespoonful of dough you just made and nestle the cookie butter inside your thumbprint. 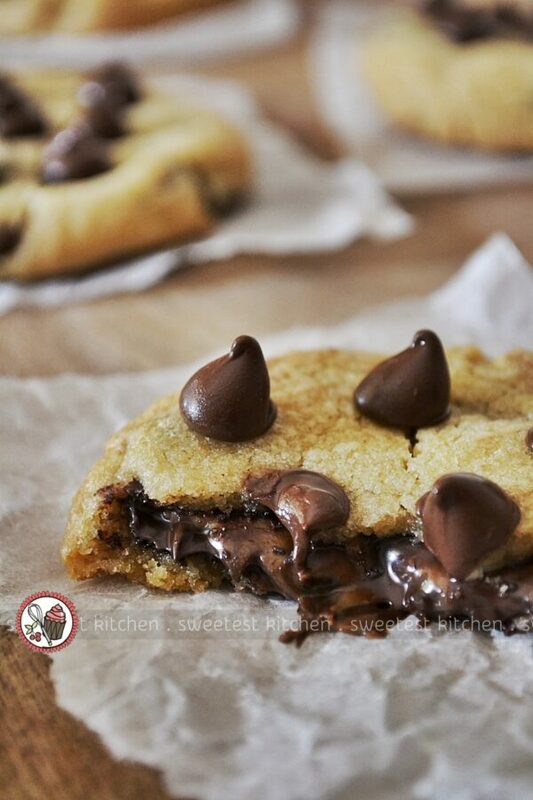 Now, just gently wrap the cookie dough around the cookie butter and again shape the dough into a roughly-shaped ball. Place it back onto the baking tray. 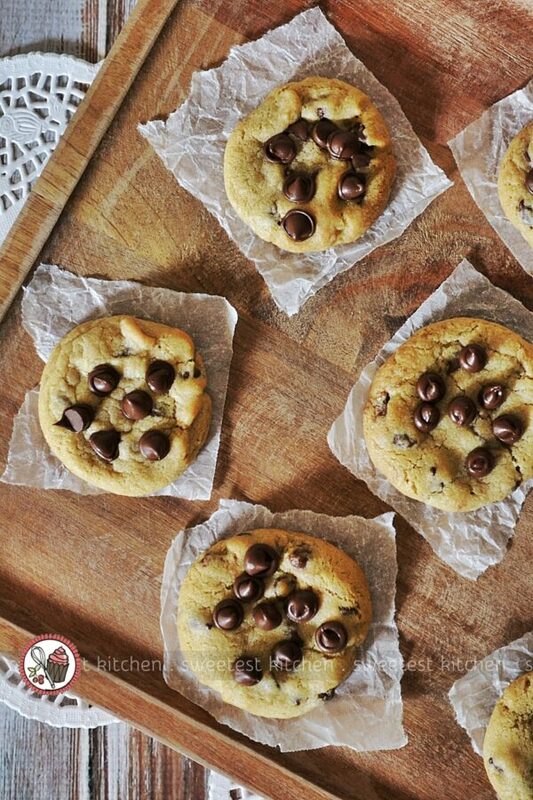 Repeat until all the cookie dough is used up. If your cookies look done while they’re still in the oven, they are over-baked. Always take the cookies out of the oven BEFORE they look done. These cookies are so amazing. They taste great straight from the oven (well, after they’ve cooled a bit, of course, but while they’re still warm and gooey), and get even chewier the next day. They’re just wonderful and gorgeous and perfect. Luckily, I still have some left and am happily sneaking them when the kids aren’t looking! Haha! Oh, the cookies are still lovely when gently re-heated in the oven for a couple of minutes, by the way. They’ll stay good for about 3 days in an airtight container at room temperature. Okay… I’m off now to check if I’ve gotten any emails yet from the seller of that $50,000 excavator! What sort of crazy things have your kids done? 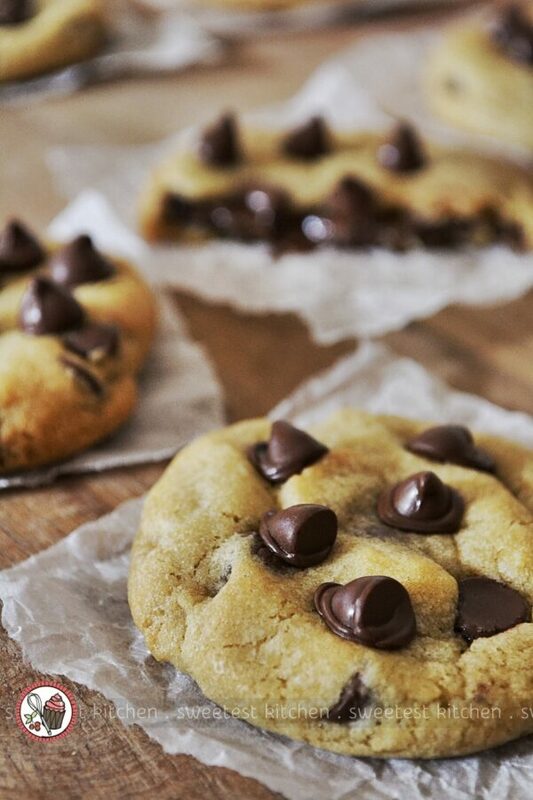 Gloriously delicious, warm, melty, gooey chocolate chip cookies filled with chocolate cookie butter. Before you begin the cookie dough, scoop out 24 teaspoons of cookie butter and place them on a baking paper-lined tray or plate. Ensure they are not touching. Freeze for at least 1 hour, or up to 4 hours. Leave in the freezer until ready to use. Place flour, cornstarch, baking soda and salt in a medium bowl and whisk to combine. Set aside. In the bowl of a stand mixer fitted with a paddle attachment, cream together butter and sugars until fluffy and light in color, about 3 minutes. Add egg and vanilla and blend in. Mix in flour mixture on low speed. Stir in chocolate chips. 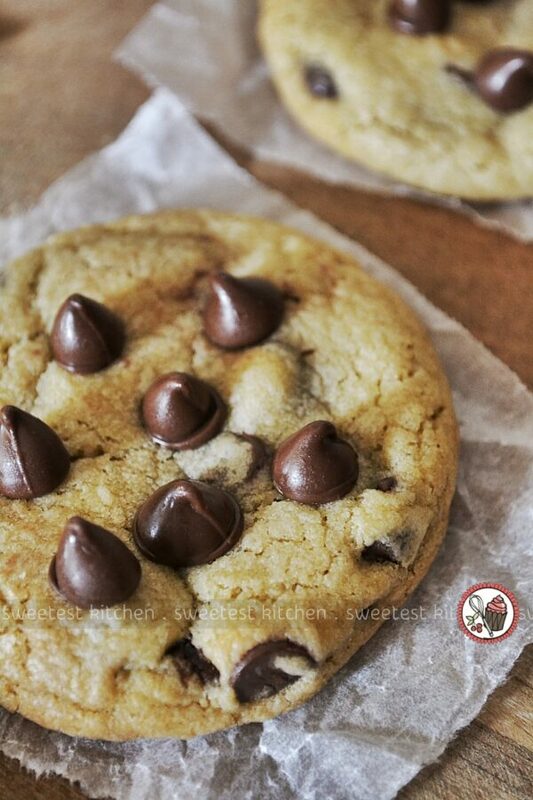 Scoop out well-rounded tablespoons of cookie dough and with your thumb, make an indentation into the ball of dough and place onto the baking tray. 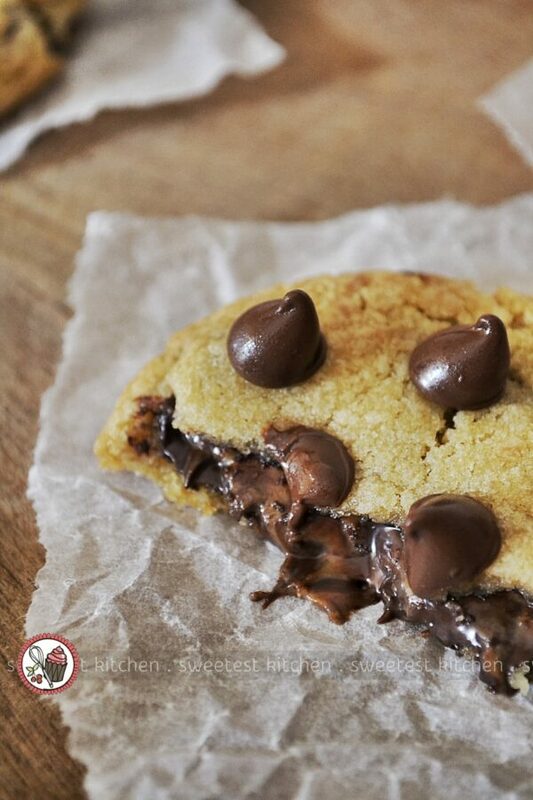 From the freezer, grab 1 frozen mound of cookie butter and nestle it into the thumbprint you made in the cookie dough. Gently wrap the dough around the cookie butter until no cookie butter is showing. Place back onto the baking tray and flatten just slightly with the palm of your hand. Repeat, until all the cookie dough is used up (if you have leftover frozen cookie butter, let it thaw out on the counter and put it back into the jar). Place the baking tray into the refrigerator for 30 minutes (or freezer for 15 minutes) to let the dough and cookie butter firm up. Meanwhile, preheat oven to 350F (180C). Take the baking tray out of the refrigerator and bake cookies for 8-10 minutes, until barely golden brown around the edges. The tops of the cookies shouldn't brown; it is imperative that you do not bake the cookies any longer than 10 minutes. Let cool on the baking sheet for five minutes. 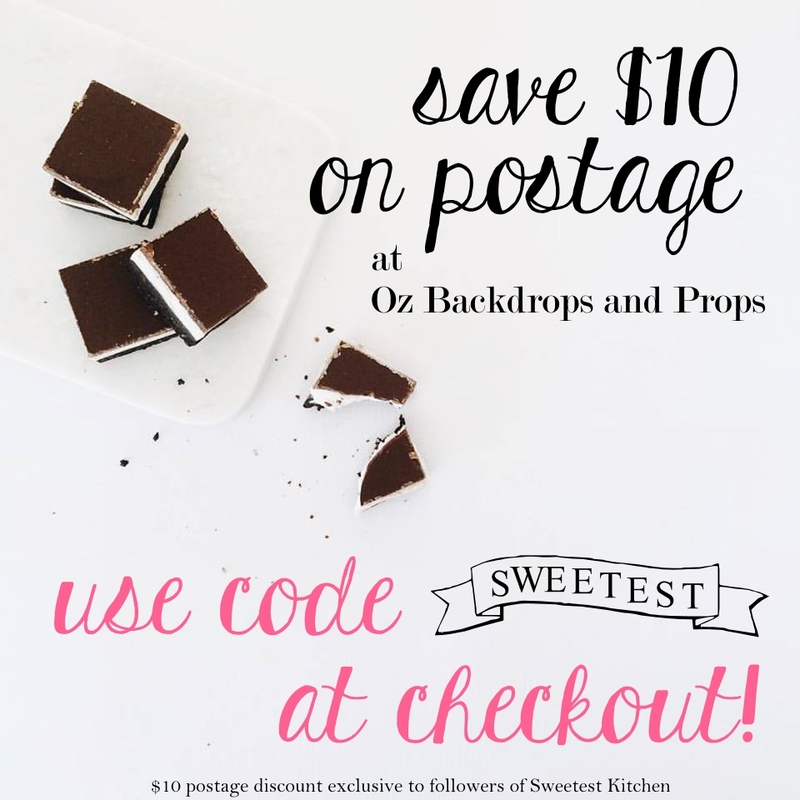 Remove from baking sheet and let cool completely on a wire rack. Store in an airtight container for 3 days. 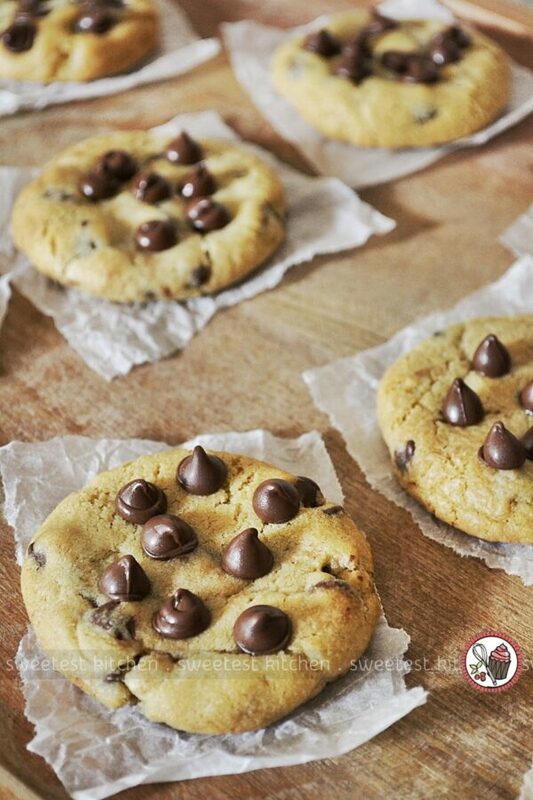 The cookies can be gently re-heated in the oven for a 2-3 minutes for that fresh-from-the-oven taste. You can use any type of spread you'd like in place of the Trader Joe's Speculoos Cookie & Cocoa Swirl cookie butter. Use Biscoff, or even peanut butter or Nutella. So many choices! 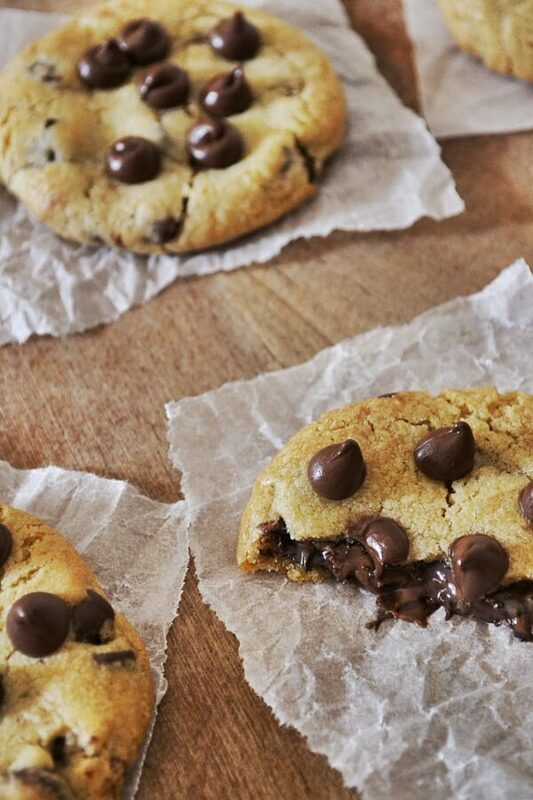 Love these chocolate chip cookies! Look at how gooey they are! They are amazing and so satisfying!